Arrival in Israel and meet & greet at the airport by a representative of Lipkin Tours. Opening ceremony on the picturesque beach of the Mediterranean. Check in to your Jerusalem hotel. We will begin the day at Beit El to visit the place where Jacob had his dream of the ladder. From there we will go to the Tefillin Factory to learn and understand more about how tefillin are made and engage with the new commandment the Bar Mitzvah boy is undertaking. We will go from there to Ancient Shilo, to visit the site of the Mishkan. 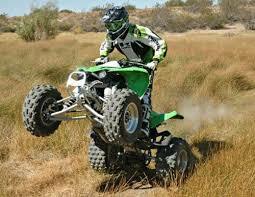 Following this we will take a fast ride on ATVs where we will travel through thousands of years of history amongst vineyeards, and exprience the famous stories in real time. Our final stop of the day will be to Mt Kabir where will see have a viewpoint of Mt Gerizim and Mt Ebal where our forefather, Avraham, recieved the famous promises about Israel. Travel to Hebron to visit the Machpela Cave and see where out anscetors are buried. Next stop is to a hands on security experince at Caliber 3; the leading Counter Terror & Security training academy in Israel. Learn about their work and experience their different specialist training areas. Connect with nature on our final stop of the day, at the Deerland Adventure Park. Options here include bungee trampolining, ropes course and two omegas. Begin the day with a trip to the Israel Museum to see the Second Temple Model, a 50:1 scale model, covering nearly one acre, recreacting ancient Jerusalem at its peak both in its topography and architectural character. From there travel to the Qumran National Park which lies at the foot of the vertical cliff of the Judean Desert, rising up from the shores of the Dead Sea. 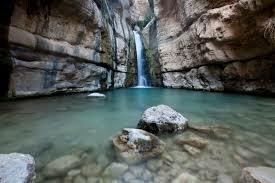 Cool off in the spings of Ein Gedi, and enjoy an exhilarating hike. From Massada we will travel to Ben Gurion's Shack and learn about the first Prime Minister of the State of Israel. 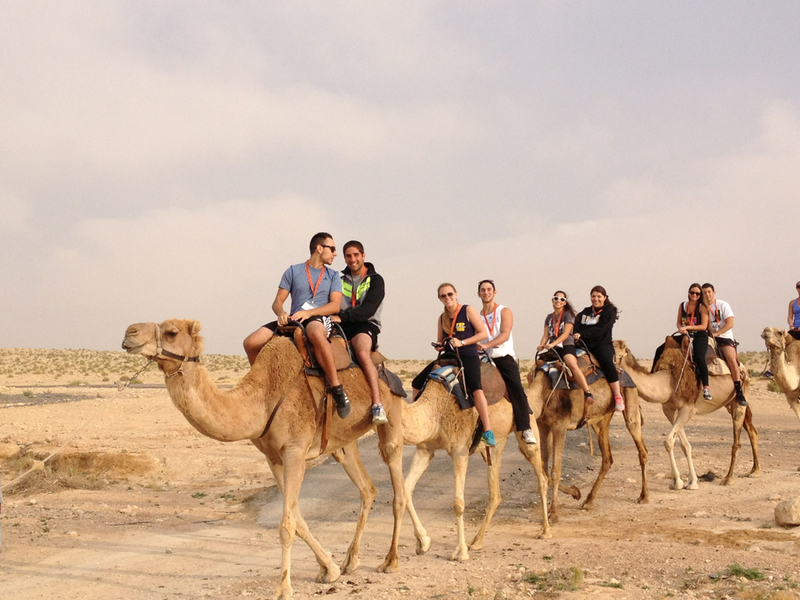 Following this we will take a high ride on some friendly camels and finish the day with an authentic Bedouin dinner, a wonderful chance to experience a different culture. Travel down south to Machtesh Ramon, the world's largest machtesh (crater), created by water erosion, unique to the Negev desert of Israel. Following this we will get our adrenaline racing as we enjoy rapelling down cliffs - not for the faint hearted! Enter the visitors center at the machtesh and experience the interactive exhibits explaining the natural processes which led to it's creation. The center also offers interesting information about the plant and animal life who live in what might be assumed to be a barren and inhospitable region. End the day meeting Israeli soldiers and understanding the invaluable work they do protecting Israel and it's citizens. 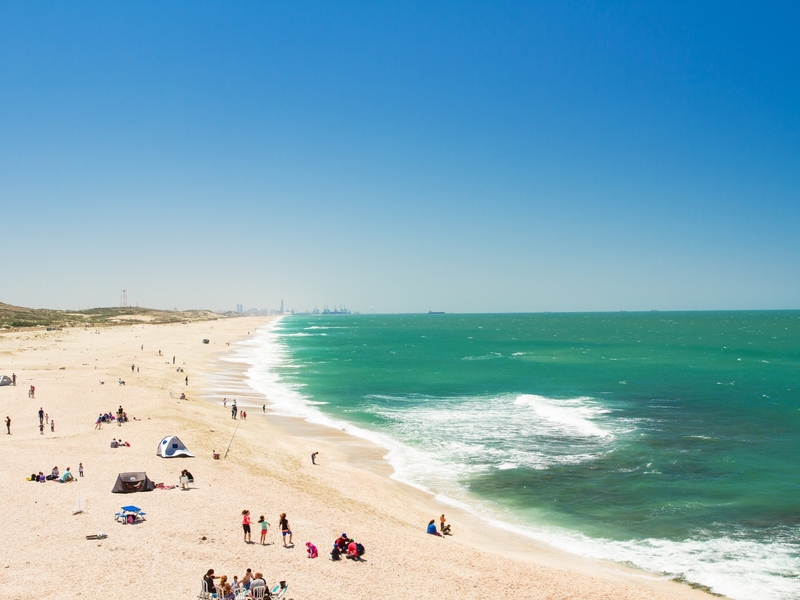 Begin the day in Jaffa and see one of the most ancient ports in the world. We will learn about the place the first Jewish immigrants arrived at when they approached Israeli shore. Visit the Palmach Museum, an experiential museum, covering the Palmach legacy through the stories of individuals and groups through an account of a fascinating personal story. From there we will proceed to the Independance Hall Museum, housed in one of Tel-Aviv’s first buildings and the building where members of the Provisional State Council assembled and declared the establishment of the State of Israel in 1948. 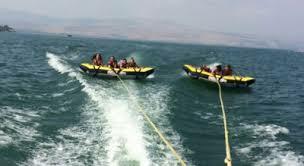 We will then leave Tel Aviv and drive north ending the day with water sports on the Kinneret! 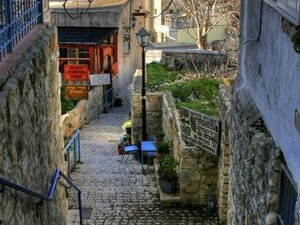 Begin the day in one of Israel's most ancient and holy cities, Tzfat. Today it is a hub of sprituality, artistic talent and mysticism. You will then have free time and an opportunity to purchase lunch and enjoy the views of the city. Continue on to hike the Pisga Trail on Mount Meron, the highest peak in Israel. Meron is a mountain of Jewish significance and tradition and home to the grave of Rabbi Shimon Bar Yochai. We will then drive down to Jerusalem for the final section of the tour. Celebrate your Bar Mitzvah with a call up and option to read from the Torah at the Western Wall, the last standing remnant of the ancient Jewish Temple. Dive deeper into the history of the holy site and tour the Kotel Tunnels to unveil hidden sections of the Western Wall. Moving through underground passages, ancient trenches and much more. Last stop of the day is a tour of the City of David archeological site and excavations. Celebrate together with a Festive Shabbat Dinner in honor of the Bar Mitzvah. Enjoy a special Shabbat atmosphere in Jerusalem.